The A330 invovled in the incident. First of all : Our goal is not to say who is right or who is wrong, there are ramp check each day. Working at Paris Airport as ramp agent, i have already saw some airlines grounded either during some hours or some days, for many reasons (expired pilot license, no money to pay fuel, dangerous good loaded in the plane.....). In 2005, Silverback Cargo an airline based in Rwanda was banned from the Belgium airspace. 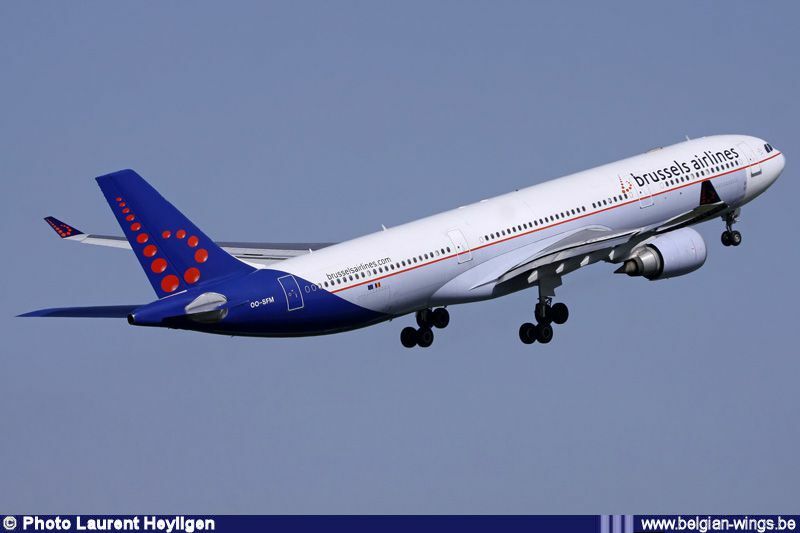 Some month after Rwanda Civil Aviation Authority grounded a SN Brussels Airlines A330 during 3 days, citing fuel leak. Belgian Prime Minister Guy Verhofstadt phoned Rwandan President Paul Kagame on urging for a quick end to the dispute. Note that Silverback was banned by the European Union, cause the airline didn't meet safety standards. In 201t the airline was removed from the blacklist last year.....two years after the airline ceased flights, cause Rwanda removed its flying license. Press Release on the Grounding of SN Brussels Aircraft Reg. which took two days to resolve. and radio license expiry dates. It is against this background that on 21/02/2006 at 20:00 Hours a ramp inspection was carried out on SN aircraft Reg. No.00-SFM. A ramp inspection is a routine activity stipulated in the convention on International Civil Aviation, article 16 which states that: “The appropriate authorities of each of the contracting states shall have the right without unreasonable delay, to search aircraft of the other contracting states on landing or departure, and to inspect the certificates and other documents prescribed by the convention”. - Lack of life span tags on both the Captain and Observer seat belts. A life span tag indicates an expiry date, which is a critical data for seat belt. A seat belt, especially that of the pilot, is considered as a no-go item since it can jeopardise the safety of an entire aircraft if it is not in good condition. - Hydraulic leak traces on the left inner slats. A hydraulic leak is a no-go item since most of the control mechanism use hydraulic systems and any leak could lead to control mechanism failure. - Lack of Airworthiness Directives (ADs) Compliances. Some of the ADs are so critical that they cannot be left ignored and yet the SN aircraft was found to have not complied since August 2005. - Fuel leakage on the left engine. As long as the exact source of the leakage is not known, it remains a hazardous defect because some of the components are zero leak tolerance. These are the reasons that led to the grounding of SN Brussels Aircraft at Kigali International Airport. These findings were promptly communicated to SN Brussels Company and to Belgium Civil Aviation Authority (BCAA). There is nothing illegal or unacceptable in what was done by Rwanda Civil Aviation Authority. It is however revealing that the Belgian authorities, without paying due attention to these technical problems of SN Brussels aircraft, immediately linked the grounding of this aircraft to that of Rwandan Aircraft belonging to private company Silverback Cargo Freighters (SCF). Still BCAA has refused to release the aircraft. Instead the Kingdom of Belgium has requested the European Commission to ban Silverback Cargo Aircrafts from flying into Europe. However, on its part the European Commission before taking any decision as requested by the Belgian Authorities, has invited Silverback to a hearing in order to establish if there is any justification to the Belgian request. It should be noted that Rwandan political authorities have so far treated the grounding of this Rwandan aircraft as a technical issue and not a political one, and have never made any contact whatsoever with Belgian political authorities about the issue. The Government of Rwanda finds that the routine inspection of SN Brussels aircraft that resulted into its grounding has been given undue publicity with political overtones on the part of the SN Brussels management and Belgian Government authorities.